1974: David Ullman needed to expand his team to accommodate the new space and rapidly growing volume and in 1974 David brought on the legendary Jeff Lenhart. Jeff’s sailing resume was strong before joining Ullman Sails and has only grown since. 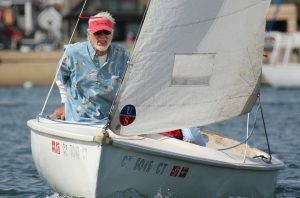 Jeff won the 1981 Snipe World Championships, two Snipe North American Championships, a Finn North Americans, and has a Sabot National Championship title to his name. Jeff has also taken second place at nine Snipe National Championships.